Do you think your job is stressful, cuts too far into your family life, or doesn't have enough vacation time? Well, imagine being president of the United States. Not only does the president have to work nonstop almost every day for the next four — or eight! — years, but every tiny decision they make will determine whether people live or die, if other nations remain stable, or what the entire mood of that day's news cycle will be. No wonder everyone thinks presidents age so much faster than the rest of us. 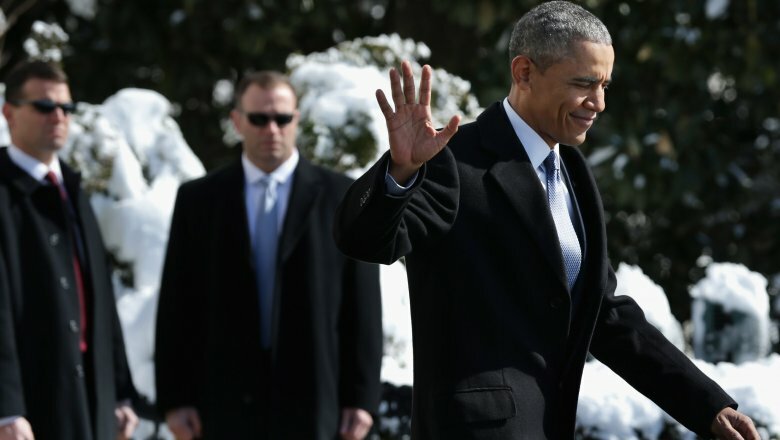 However, when it's all over, and an ex-president is finally able to hit the road with the White House in the rearview mirror, what will this strange new chapter of life be like? When you're weighed down by the responsibilities of the presidency, there's no time to enjoy life, much less indulge in hobbies. Walking away from that is a massive relief, but going back to the regular world is also seriously weird. Still, most ex-presidents enjoy the transition. According to Rolling Stone, Barack Obama told David Letterman that on his first day not being president, "I slept in –- which I was pretty happy about. … I sort of enjoyed puttering around the house, finding out, 'Does the coffeemaker work?' and fighting with Michelle for closet space." He described it as feeling like he'd finished a race, with everything suddenly moving in slow motion. Bill Clinton had a similar coffeemaker experience, according to National Memo. After eight years in the White House, and a decade in the Arkansas governor's mansion, he had a surreal time waking up with no breakfast prepared for him. Confused by the coffeemaker in his new home, he ended up getting coffee in town. As for George W. Bush, it's pretty well-known how much he loves not being president. According to the University of Virginia, Bush returned to Texas, kicked up his feet, and went back to throwing neighborhood barbecues. 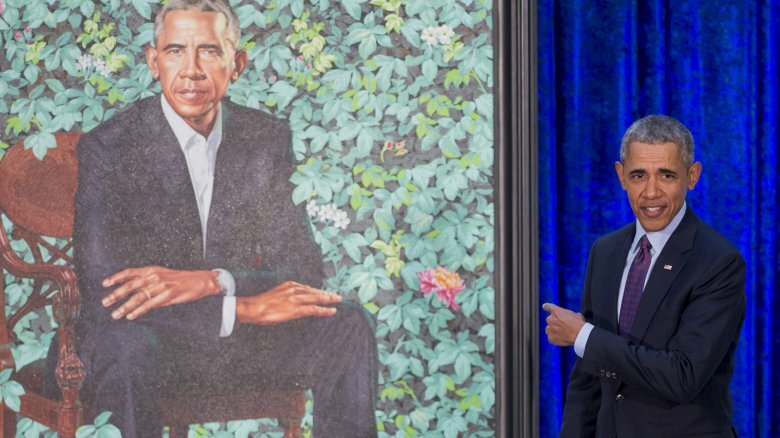 He also took up a new hobby — painting — and as described by CNN, released a 2017 book of his artwork titled Portraits of Courage. Sure, having "ex-president" on your resume looks nice. But honestly? You'll never need to work again. Now, it wasn't always that way. According to the New York Times, when Harry Truman closed out his presidential years in 1953, he came home to Missouri with no income except a $112.56 military pension. This state of affairs changed in 1958, when the Former Presidents Act became law, entitling ex-presidents to a lifetime pension, staff, medical care, and other benefits. These days, Time says ex-presidents earn an annual pension of $205,700, an amount that allows plenty of dinner parties and nice vacations, especially considering extra money is added to help the new retiree transition back to regular life. On top of that, they can request more funding for additional expenses, like having offices and staff to "maintain the dignity" of the presidency. 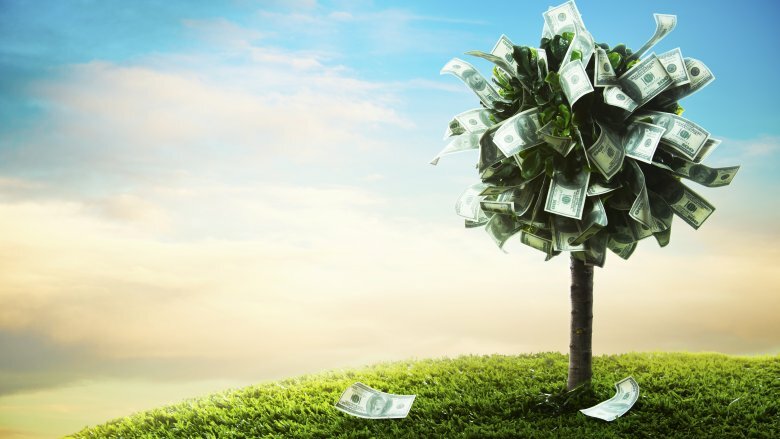 All in all, that's a serious money tree. In theory, this seems fair, considering that former presidents have dedicated four (or eight) years of their life to the country, and are usually senior citizens. However, the subject of ex-presidential pay has become more controversial in recent decades. Brianna Keilar, writing for CNN, argues that "being ex-president can be lucrative gig," citing that in addition to their pension, all of the more recent former presidents earn millions of dollars giving paid speeches, writing memoirs, and so on. There are myriad reasons most people should never want to sit behind the big desk in the Oval Office, but if you love road trips, here's one that'll hit you right in the gut: Once you're sworn in, your driving days are over. In a CNBC interview with Jay Leno, George W. Bush confided that even though he's free to drive his pickup truck all over his Texas ranch, he hasn't hit the pedal on a public road in about 25 years. That's because after the assassination of JFK, both current and former high-profile government officials are always driven around by their specially trained Secret Service teams in case an emergency occurs. The last president to hop in the driver's seat on a highway joyride was LBJ. Drive as much as you want on your own property, but otherwise, scoot over to the passenger seat (or the back). Though all presidents and vice presidents have cooperated with this rule — it's not legally mandated, but strictly enforced — not everyone's happy about it. According to the Sydney Morning Herald, Bill Clinton described the no-keys policy as one of the biggest drawbacks of being president. Vice presidents have to abide by the same guidelines, and former VP Joe Biden called it "the one thing I hate about this job." 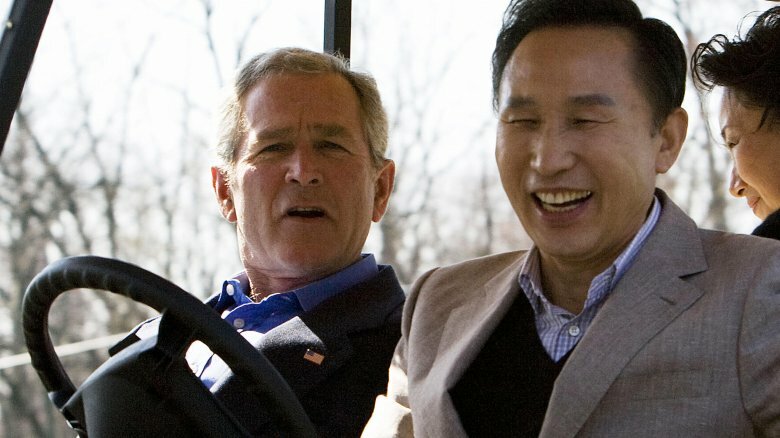 To get their driving fix, many presidents take the wheel in their golf carts. Vroom, vroom. These no-driving shenanigans spotlight another major feature of your post-presidential life: Love it or hate it, the Secret Service will always be surrounding you, according to CBS News. Whether they're driving the car, standing in back, or diffusing potential threats, the men in black protect former presidents and their spouses until the day they die, and presidential children are protected until they turn 16 years old. This wasn't always the case. In 1994, Congress limited ex-presidential protection to a mere ten years after leaving office, arguing that after a decade, presidents should pay for their own security. However, views on this matter changed significantly after 9/11, and lifetime protection was reauthorized in 2013. Don't think any of this is required, though: Presidents can always opt out. After resigning his post, Richard Nixon only received benefits for 11 years, and then ditched the Secret Service in 1985. So it could happen again in the future. However, considering the number of assassination attempts on presidents, would you really want to drop the Secret Service? Is it better to be a one-term president, or to nab both terms? History tends to give more credit to two-term leaders, but on the other hand, it's probably nice not having to spend an additional four years with countless emergencies hanging over your head every morning. However, when it comes to retirement benefits, there's one notable difference between the packages offered to two-termers: better medical insurance. According to Vox, neither of the two living one-termers — George H.W. Bush and Jimmy Carter — receive federal health benefits through the General Service Administration, compared to the $8,000 FY allotted to Clinton, and the $12,000 for the younger Bush. The elder George Bush could actually qualify because he served as vice president before taking the big office, but he declined the benefits. The point is, two-termers get a nicer break. On the other hand, considering that Carter and Bush Sr. are both millionaires, according to the Huffington Post, they can easily afford any health insurance plan on the market. Go ahead and save your tears, folks. Ever wonder why ex-presidents never seem to weigh in on all the crazy stuff their successors do? Well, that's because they're not supposed to. There are no laws about it, though, and there have been exceptions. But generally speaking, it's a longstanding tradition that once you've had your time on the stage, you're supposed to get back in the audience and sit down. However, after the election of Donald Trump in 2016, this unwritten rule has started to budge a bit. As described by the Sydney Morning Herald, both Barack Obama and George W. Bush have sharply criticized President Trump's policies, stopping just short of referring to him by name. According to CNN, even the elder George Bush went as far as calling Trump a "blowhard," and Bill Clinton criticized the president's DACA decision on Facebook. It's legal, if perhaps a little historically undignified. 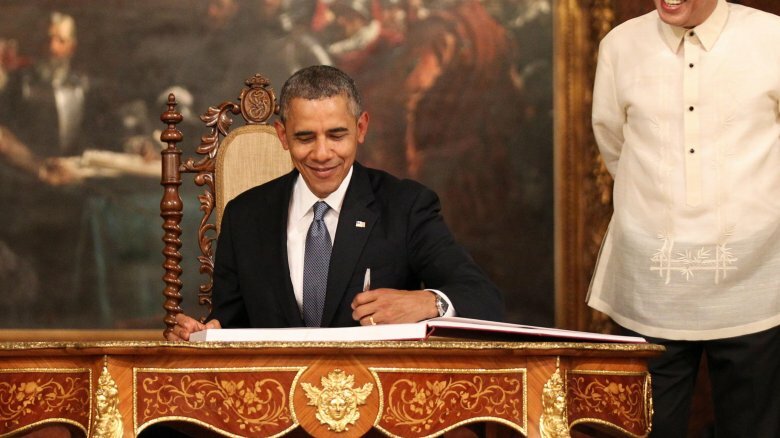 Just a few months after Barack Obama signed off, publishing companies went wild. The bidding war for the rights to memoirs from him and Michelle shot up to an unprecedented $65 million, according to Vox, before finally landing at Penguin Random House. Now, while it's understandable why Obama's memoir rights were so hot, given his unique role in history and his prior experience as the 1995 author of Dreams of My Father, these high numbers also demonstrate just how lucrative presidential memoirs have become. If there's one thing that every president is expected to do once they leave the White House, it's to get a memoir out there — whether they write it, or someone does it for them. For example, Mental Floss points out that when Ulysses S. Grant released his post-presidential memoir in 1885, it was published by legendary author Mark Twain, and the prose was so surprisingly excellent that many readers today believe Twain was the book's ghostwriter. Similarly, Ronald Reagan once cracked a joke about how his memoir's "editorial assistant" had done all the work, quipping, "I hear it's a terrific book!" Regardless, presidential memoirs tend to be runaway hits, and they also give the ex-president one last chance to (maybe) revise their place in history. Mental Floss notes that James Buchanan tried really hard to paint a rosier picture in his 1866 memoir, but unfortunately for him, historians still judge his presidency pretty harshly. So, what's the deal with retired presidents always getting their own library? Every time Year 7 rolls around, the news starts talking about the upcoming "presidential center." 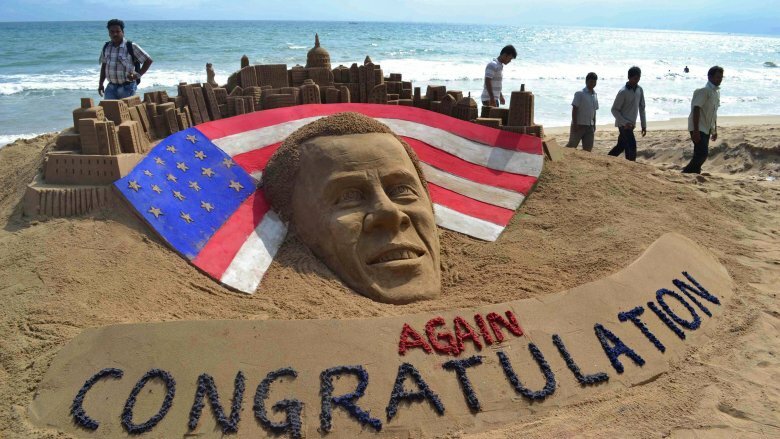 Are these things just lofty tributes to pad out the ex-president's ego? Or is there more to it? Atlas Obscura explains that presidential centers go back to 1939, when Franklin D. Roosevelt decided that once he left office, all his personal and presidential records from that time would be turned over to the federal government. Why? Because the track record for presidents bringing their records home wasn't so hot. For instance, just look at George Washington's papers, which ended up becoming soggy basement material, chewed up by rats. Oops. Anyhow, FDR's decision became policy in 1978. When presidents exit the Oval Office and turn in their records, the so-called "presidential library" is the place where all that paperwork is filed away and archived for public viewing. These centers also contain a presidential museum, almost exclusively devoted to how great, patriotic, and wonderful that particular president's time in office (presumably) was. These museums often contain strange artifacts such as letters, models, or even a jelly bean portrait of Ronald Reagan. 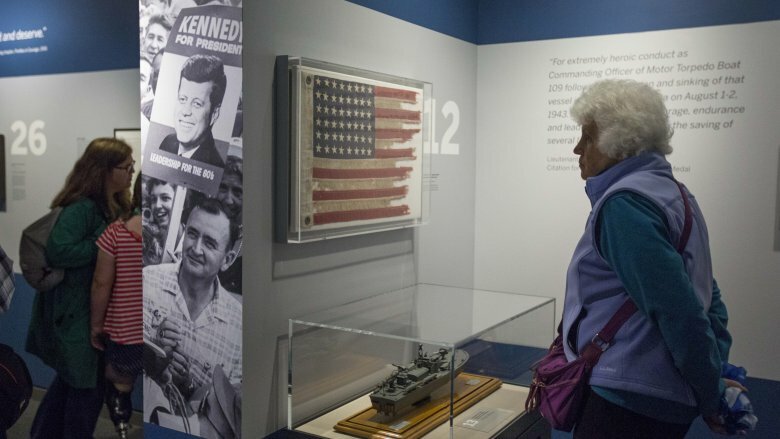 Presidential centers can also be used as locations for big events: For example, you can have your gala wedding at the Richard Nixon library … you know, if you feel like spending the day having political arguments with your new in-laws. Being president of the United States takes its toll on any individual. The intense amount of pressure, scrutiny, and responsibility is hard for anyone else in the world to understand, much less relate to. Maybe that's why a lot of former presidents become friends. It's like when two surgeons find each other at a party, and start trading gross anatomy jokes, much to everyone else's chagrin. Probably one of the more popular examples of this is the close friendship between Bill Clinton and George W. Bush, as described by Vanity Fair: Bush even refers to Clinton as his "brother from another mother." Clinton is also friends with Bush's father, and apparently spends a lot of time visiting George H.W. Bush's home in Kennebunkport, Maine. Even when ex-presidents don't become lifelong buddies, it's a good idea for them to be on friendly terms with each other because they often get pulled together for photo ops. For example, in September 2017, Obama, Bush, and Clinton all got together for the annual Presidents Cup golf tournament in New Jersey, as seen on Time. Just a month later, according to NPR, every ex-president alive today gathered together to raise money for hurricane victims. 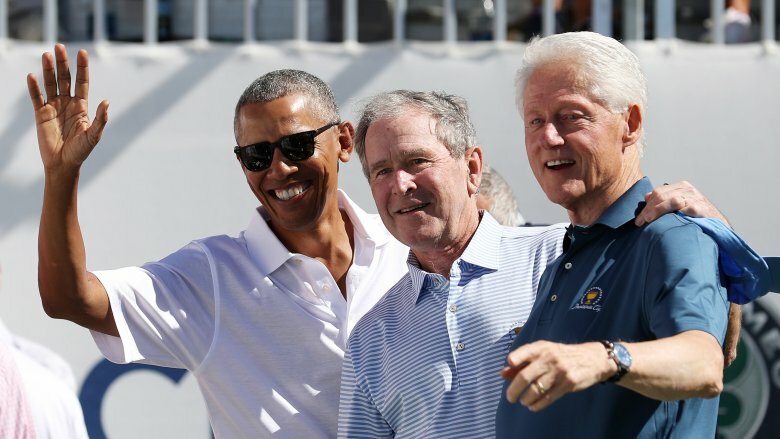 Despite the widening partisanship gulf in the United States today, it seems like friendships between ex-presidents is one area where party lines don't mean a thing. Sure, retiring from the White House means you won't be the center of every news story anymore. But ex-presidents are still major celebrities, hounded by fans, enemies, and every camera in the world. Besides that, a president's place in history is always called into question, even decades after they leave office, particularly as new facts come to light. 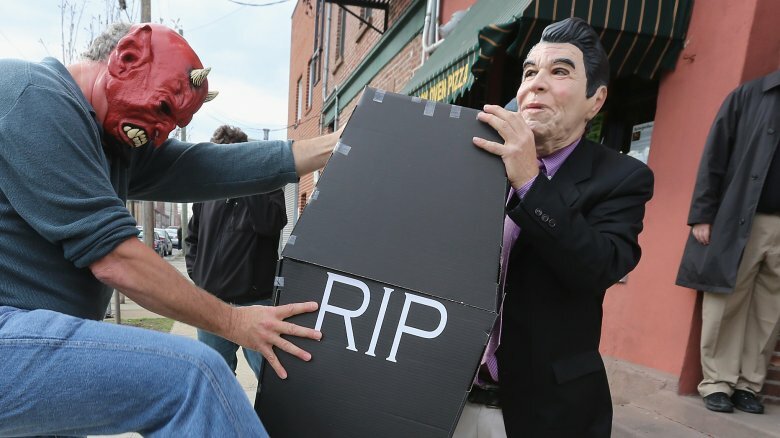 For example, the Ronald Reagan administration, and "Reaganomics" in particular, have come under increasing scrutiny in recent times, with writers such as Paul Krugman of the New York Times "Debunking the Reagan Myth," Cracked arguing that "Reagan ruined the country," and Vanity Fair stating that Reagan's administration "should be seen as a complete failure." They're all relatively liberal outlets, but these pieces were written in the 2000s, decades after Reagan signed off. 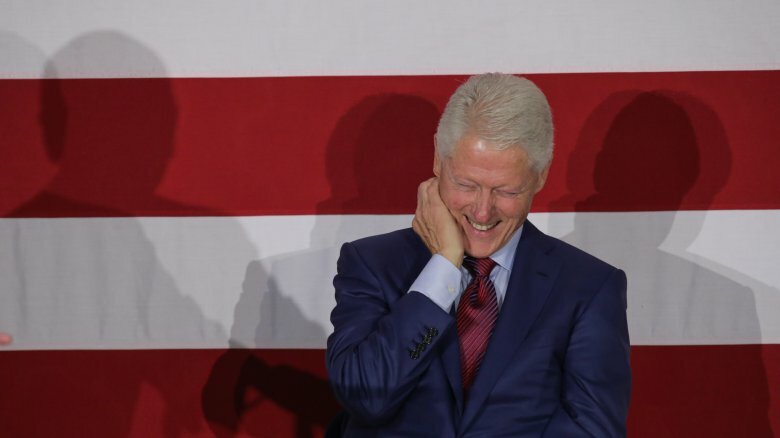 In the 2010s, Bill Clinton's policies are widely seen as having worsened the issue of mass incarceration, destroying thousands of lives, an enormous problem that Clinton himself has publicly apologized for, according to The Guardian. Ex-presidents have to expect major media attention when it comes to the less-than-honorable details of their personal lives, as well. For example, a series of accusations against George H.W. Bush hit the headlines in 2017, alleging that the former president had a disturbing record of groping multiple women, according to Time. The life of an ex-president is not all doom and gloom. With pensions, media opportunities up the wazoo, and the weight of the country finally off their shoulders, ex-presidents are free to do just about anything they want to, anywhere in the world. Jimmy Carter, for example, became a do-gooder. 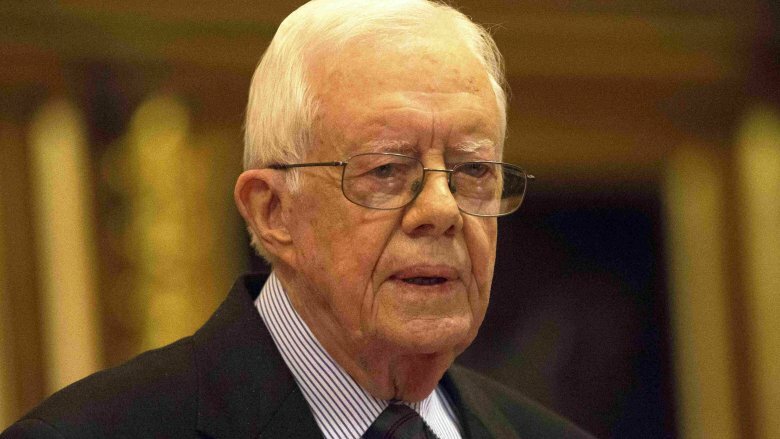 Creating the Carter Center, he devoted his post-presidential life to philanthropy and humanitarian causes, and went on to win a Nobel Peace Prize, according to The Atlantic. Bill Clinton turned his ex-presidency into "a global money-making operation," earning millions of dollars in speaking fees. 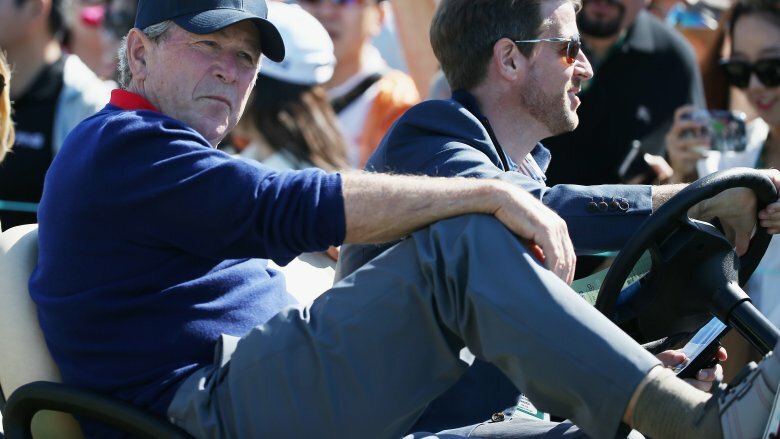 George W. Bush has participated in philanthropic efforts and fundraising since his presidency ended, but for the most part, he's devoted his twilight years to relaxing at home in Texas and enjoying time with friends and family. Barack Obama is the newest ex-president on the block, and he's a great deal younger than his predecessors, so he still has a long path ahead. The first thing he and Michelle did after leaving the White House was to go on an international honeymoon tour, which included kitesurfing and paddleboarding, plus stops in Necker Island, French Polynesia, Tuscany, and Indonesia, according to Time. Since getting back, he's quietly worked on his foundation, which he hopes will mentor and support many young leaders and future politicians, according to Politico.